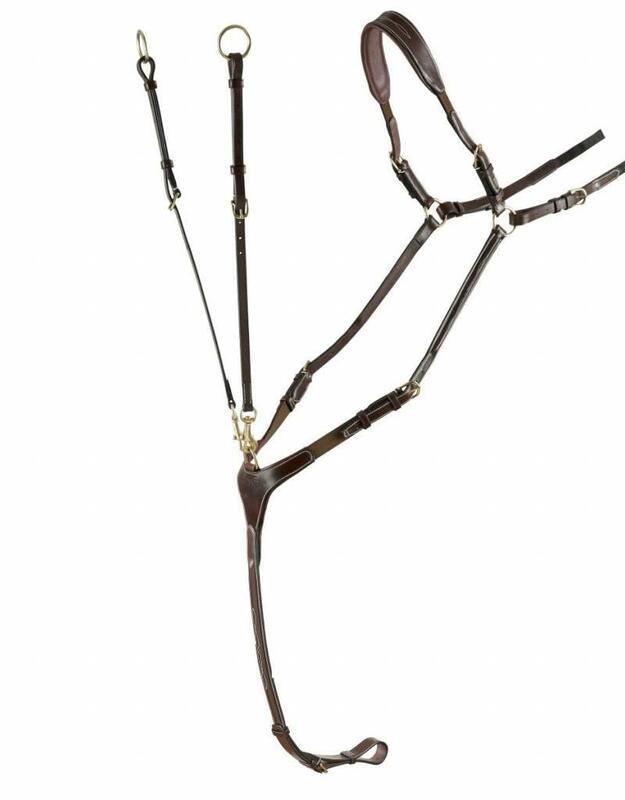 High quality vegetal leather with 3 attachment points. 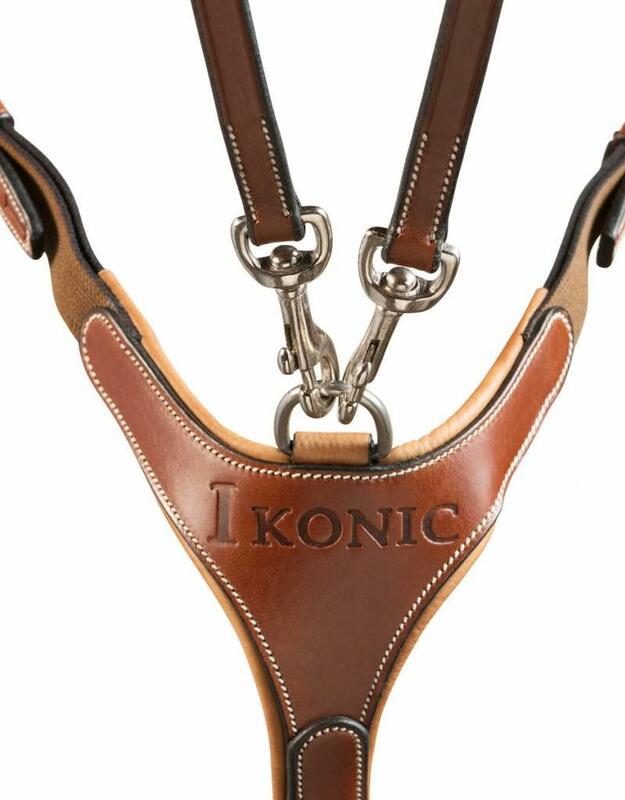 The soft leather lining, as well as the large padded top strap offers more confort to the horse and avoids unnecessary rubbing and pressure. 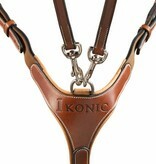 It prevents the saddle from moving backwards, thanks to the lateral attachment points which are fastened to the girth straps, and to the ventral buckle that is fixed to the girth. 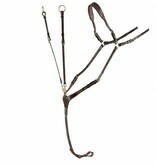 The removable martingal attachment can also prevent the horse from moving its head up.